Speak to us about our specialist insurance policies designed specifically with for Trike and Quad bike owners in mind. Get the cover you need for your vehicle at affordable rates. 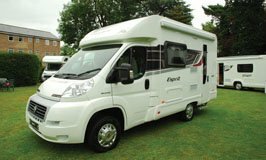 Protect your Motorhome or Campervan from accidental damage, breakdown and theft with our competitive motor caravan insurance policies. We cover all types of vehicle including American RV's. Breakdown cover may also be available. Speak to us today to get the best deal. 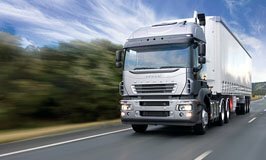 We provide specialist haulage insurance policies for couriers, retail and haulage/logistics businesses. Cover can encompass the motor risk as well as the transit and liability aspects. Chat to our advisers for a bespoke policy to suit your business. Protect your home, your car and your contents with our competitively priced insurance policies from leading providers. Get the peace of mind you need at the right price, on flexible payment terms. Welcome to Whittlesey Insurance: Specialist Insurance Brokers for Trikes, Motor Caravans, Personal & Business Insurance! Unique vehicles require a unique approach to insurance. At Whittlesey, we specialise in providing tailored insurance policies for specialist vehicles: such as trikes, motorhomes, logistics vehicles, classic cars and taxis. Based in Whittlesey town centre, we have served private and business customers across the country for more than 30 years. 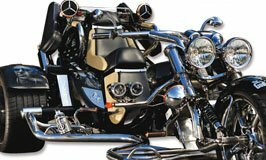 Whether you need trike, motorhome or haulage industry insurance or any other type of cover, we can provide you with low prices on some of the best insurance policies in the UK. Not all insurers are prepared to cover motorhomes or trikes, so many owners find it difficult to find the right insurance policy for their vehicle. The ones that are offered are frequently tailored to other vehicles – so are not comprehensive enough – or are charged at extremely high premiums. As an experienced, independent insurance broker, our team can advise you on the best deals based on your genuine requirements, so you have all the cover you need without paying for services you won’t use. We are passionate about trikes, motorhomes and specialist vehicles! We have insured thousands of unique vehicles over the course of 30 years trading! We are straightforward, upfront and honest in our approach. Our main goal is to help you find the best insurance policy to suit your needs! We adopt a personal approach to insurance, talking you through the quote on the phone or face-to-face, rather than doing it online. This allows us to customise our service more closely and give you better value for money. Many customers agree that this is actually quicker than taking out insurance online, as you get what you need first time without having to trawl through dozens of quotes to find the cover you need. 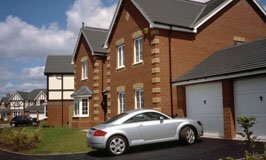 We work with all the leading insurers and offer nationwide coverage. This gives us excellent industry knowledge and a friendly approach you can rely on. Have a look around our website for more details of our insurance policies. Should you require further information, do not hesitate to call into our office or ring us on 01733 208 117. Vivamus rhoncus ut libero vulputate elementum. Quisque at arcu non augue sollicitudin suscipit. Nunc auctor quam turpis, sed hendrerit risus dignissim ut. Aenean massa velit, dapibus nec ultricies ut, dignissim ac dui. Curabitur vel augue ut risus vulputate vulputate. In interdum consectetur commodo. Nam placerat purus sit amet orci hendrerit blandit.